KIALA & THE AFROBLASTER Sorrow Tears & Blood vinyl at Juno Records. Congolese musician Kiala Nzavotunga is something of an unheralded hero of the Afrobeat scene. Since deciding to visit Nigeria in the early 1970s he's played with many legendary figures and bands, including Fela Kuti, and famously founded one Europe's first Afrobeat band, Ghettoblaster. 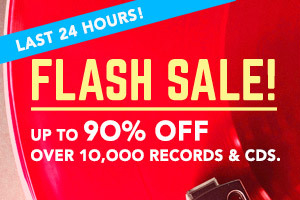 Now based in Japan, Afroblaster is his latest musical endeavour, and this is the outfit's debut single. 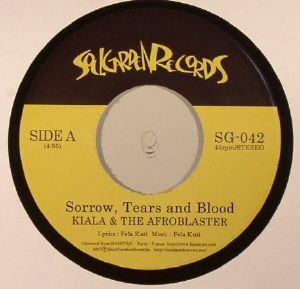 A-side "Sorrow, Tears & Blood" offers a contemporary update of the Fela Kuti/Africa '70 sound, with a straighter 4/4 rhythm that should appeal to disco and house fans as well as Afrobeat enthusiasts. On the flip, "Dear Blood" offers a more traditional take on the style, with Kiala's vocal riding punchy horns, flanged funk guitars and a Tony Allen style drumbeat.